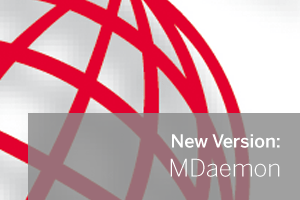 MDaemon version 13.6 is out today and with it some useful enhancements, particularly if you’re using ActiveSync with your mobile devices. It’s worth noting this release includes a whole host of minor tweaks to Worldclient (notable an HTML signature editor) and WebAdmin which you can read about in the release notes but I think it’s the following you’ll be most interested in. Prior to this release, MDaemon’s ActiveSync implementation made it easy to synchronise your email, calendar, contacts, tasks and notes, however it wasn’t possible to see your public folder data. We found this particularly frustrating as we use them a lot, for sales@, support@ etc. so we’re really pleased to see that it’s now possible, and it can be controlled at the user, domain and server levels. Gartner’s Top 10 Strategic Technology Trends For 2014 report pointed out this week that companies will increasingly need to “better define expectations for employee-owned hardware to balance flexibility with confidentiality and privacy requirements.”. In this release MDaemon builds on the already powerful mobile device management toolkit by making it possible to quickly wipe only the ActiveSync account data, or in other words, the data that’s specific to the business. Ideal if an employee leaves and doesn’t want their device wiped completely. I hope you found that useful, feel free to shout us with any questions or if you need help activating the free 30-day trial of ActiveSync. More information on MDaemon’s mobile device management capabilities.